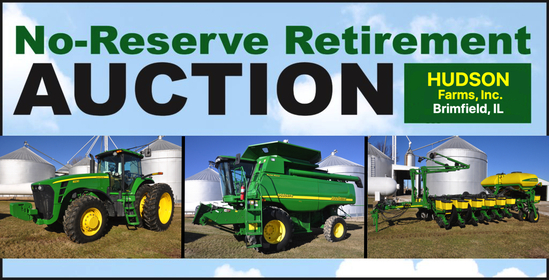 Selling tractors, combines & heads, planter, grain cart & gravity wagons, truck & trailers and other farm equipment. Driving Directions: From exit 75 on I-74 near Brimfield, take Maher Rd. south 1 mile to Claybaugh Rd., then right (west) 4 miles to the farm. Watch for sale day directional signs. Super B AS1000 grain batch dryer, automatic dump, single phase, 12,538 hours, one owner, inspected annually - new buyer is responsible for removal and transportation. 1954 Dallas Tank Co. 6,000 gal. propane tank, certification tag - new buyer is responsible for removal and transportation.